After years of sitting out the entry-level, luxury-sedan game, the Jaguar XE arrives with the usual suspects in its sights: the BMW 3 Series, Mercedes-Benz C-Class, Audi A4 and Lexus IS. Like them, this Jaguar luxury-sports sedan offers premium amenities, advanced safety features and a variety of engines that range from a fuel-efficient diesel to a supercharged V6. The Jaguar XE is the first of its kind for Jaguar and it still needs a little fine-tuning to perfect it. 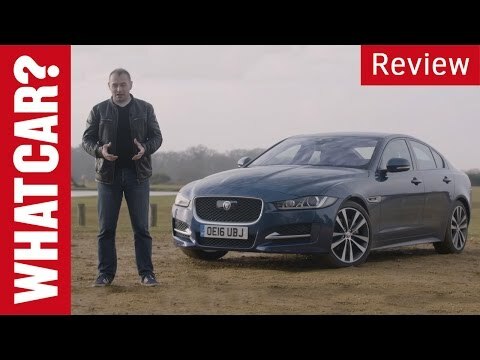 The Jaguar XE - Sports and Luxury at an affordable price. Stand out from the rest! This vehicle is great value for its price and provides luxury comfort with a sporty appearance and feel while driving. It is comfortable and its features, including the technology, are intuitive. I have not encountered any problems. The only maintenance I have performed thus far are oil changes. Love the car in general nothing to complain about. No issues at all I love it. I’d tell everyone to get one. Extra comfy great color and drives excellent. Smooth ride. Awesome air and heat. Love the sunroof. Look smoking in it. I wouldn't trade it for the world. Goes pretty fast when you step on the gas and stops fast when you see a cop. A diesel fuel leak onto the road surface may cause a skid hazard, increasing the risk of a crash. If the fuel leak contacts a hot engine or exhaust component, there would be an increased risk of a fire. Jaguar will notify owners, and dealers will replace the fuel return hose, free of charge. The began May 2, 2017. Owners may contact Jaguar customer service at 1-800-452-4827. Jaguar's number for this recall is H016.